Tackling the world's largest energy challenges requires technology innovation. Artificial Intelligence provides one potential approach to make our operations safer and more efficient, as well as supporting the energy transition. Shell has been an early adopter of artificial intelligence (AI), as it attempts to speed up its digital transformation. From machine learning to computer vision, deep learning to virtual assistants and autonomous vehicles to robotics, Shell has been focused on a range of technologies that have supported advances in AI. Shell recently announced its plans to deploy AI applications at scale – read the full article in the Wall Street Journal. What’s happening at Shell is pretty amazing. They have a very deliberate strategy of using AI, right across their operation… from the drilling operations to safety in… Shell Retail stations. Shell has “the largest AI deployment that we are aware of anywhere in the world. Everybody else is kind of looking at it. These guys are rolling it out." 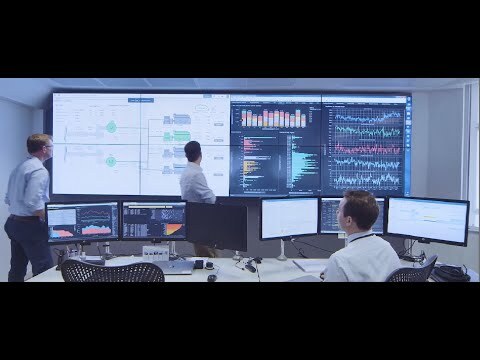 The new possibilities in working with data over the last few years are unlocking amazing opportunities in all aspects of what we do in the company. In one example, we can now forecast in many cases when a compressor is at risk of failure 24 or 48 hours in advance, which was not easy to do before despite all the instrumentation you have on these large and complex machines. It can see and predict the future in ways that human eyes can’t. It’s called “machine vision,” which uses imaging technology, combined with image processing and analysis, to guide a machine action and human decisions within a commercial or industrial scenario. Shell is now piloting a new machine vision system at Retail l. By applying advanced artificial intelligence techniques, the system can automatically predict and detect unsafe actions in a shop or forecourt and alert staff. In some cases – and only where it’s safe to – that could mean staff are able to so that they can intervene. But the technology also provides valuable data, and the potential to analyse detections for trends or patterns so that we’re able to take steps to prevent incidents happening in the future. It’s being applied with Goal Zero in mind. Retail is a key engine of the Shell group. We have 30 million customers every day. Close up of a security footage on forecourt, taxi and cars entering. View of Retail forecourt with flags, cars passing by service statoin. Shell’s retail goal for safety is making sure that our customer and our staff are safe at all times. Our retail staff are exposed to safety risks, ranging from a vehicle hitting someone, theft, smoking, things like wrong refueling behaviors. Close-up Shell Pecten on back of service champion clothes with the words “Goal Zero. No Harm. No leaks.” Close up of fuel pump. Accelerated time lapse of cars coming into station, refuelling and driving away. Close up of Shell logo on the Retail station. Accelerated time lapse from position of security camera inside retail shop. Service Champion positioned behind counter serving customers. Footage of people smoking. Close up of fuelling a truck. Accelerated time lapse of cars moving through retail forecourt. Being able to detect those in near time and potentially intervene could be very, very beneficial for us. Close-up of refuelling a car. Footage of security personnel behind monitors observing security footage. It’s very labour intensive to analyse the hours of CCTV footage that we capture on our retail sites every day. With computer vision we have developed a collection of machine learning models that can identify events of interest at the edge in near time. We can pass those into the cloud for tight processing. The Azure cloud is powering this transformation. We are now able to take a lot of the platform as a service offering that Azure gives us. Things like IOT hub and Azure Data Bricks, combine them with open source technology like Tensor Flow and Kafka and bring that together into a solution quickly. Footage of many video surveillance screens. Close up of security personnel looking at a computer screen. Team of developers collaborating and looking at a TV screen. Staff are visible on screen with red boxes drawn around their faces, identifying them, code is visible on the screen. Close up of board with post its and speaker. Footage of person on motorbike in retail forecourt. “Alarm” is written on top of the footage. Close up on hand with cigarette with box around it identifying the cigarette. Person looking at ipad with a colleague. Scrolling through ipad application. Team sitting behind desks looking at computer screens. Close up of hand moving post it. Team standing around scrum board strategizing. What deep learning gives us is the ability to find events that might be interesting, but it also allows us to use labelled footage to train our algorithm and continuously improve. If we can leverage this technology at scale, that means making things more effective, reducing cost and improving safety. It’s a huge opportunity. Close up of Shell Pecten on signage of service station. Quick sequence of footage in retail station. Team reviewing code on plasma screen in office. Close up of code. Team reviewing behind monitors in office. Service Champions in retail station. Man on motorbike and bus passing retail station. Shell Pecten centred on a white background with text appearing below. In line with its ambition to grow and strengthen our talent pools, Shell has recently launched its AI Residency Programme, a two-year immersive opportunity designed for students to work on projects across Shell’s business. Sponsored by the Shell Digital Centre of Expertise, the programme offers residents the opportunity to develop deep, technical expertise across the spectrum of AI, learning more about the energy industry and working in agile teams to develop new solutions that can optimise current processes, enable workforce and unlock new business models. 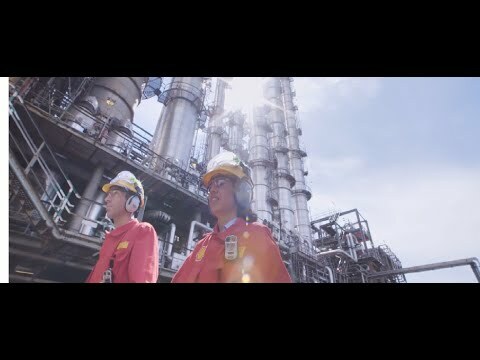 Shell has been at the forefront of digital technologies since the 1970s. Discover the areas with the greatest potential for our business today. Sensabot is a robot that can help maintain oil and gas field equipment in hostile environments. See how we are using high-tech drones to go places humans would rather avoid. 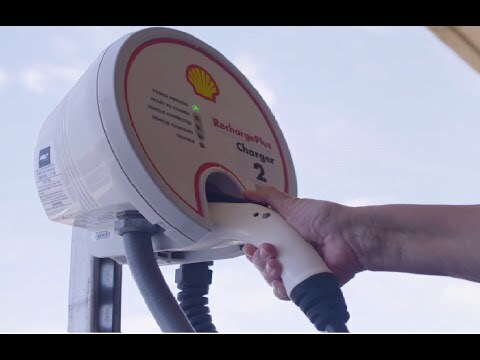 Shell RechargePlus helps drivers and site hosts manage daily EV charging needs resulting in cost savings and increased efficiency.